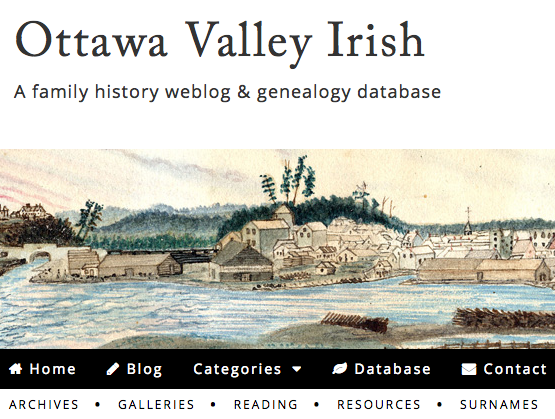 You can always find something interesting and helpful at Ottawa Valley Irish blog. The latest of helpful resources is a transcription of Marriage Records from the Fitzroy Harbour Catholic Mission. While I knew the Mission served the Harbour area, I learned from the blog that it also served Catholics from the other side of the Ottawa River in Quyon, Quebec area. If you’d like to take a read yourself and explore the 1852-1856 marriage records, find your way here.